Found in the panhandle of Florida, Pensacola is a popular destination for family vacations and spring breakers. It's located in Escambia County and has a population of about 53,000 residents. However, the Pensacola Metro area has a larger population of nearly 500,000 residents. Along with the many residents, the city hosts numerous visitors every year. It's found near many very nice beaches and a large United States Naval Air Station. Many other attractions are found throughout the area, which draw visitors from all over the country. The 57th most deadly highway in the United States provides access to Pensacola: Interstate 10. The Florida stretch of I-10 had 234 fatal car accidents from 2004 to 2008 with 272 fatalities. The mixture of visitors and regular residents puts a number of different driving styles on the roads. Many of the visitors are unfamiliar with the area highways making it even more dangerous to drive in Pensacola. Traffic accidents in Pensacola and Escambia County are on the rise. If the authorities didn't take the time to monitor traffic and issue tickets, these numbers would be far worse. Nearly 25,000 traffic tickets were issued throughout Escambia County for 2015. Out of the total number of tickets, 12,074 or nearly half were for speeding, while another 4,031 were for careless driving. Over 2,300 drivers were also caught running a stop sign or red light. Judges only dismissed about 2% of the total number of tickets issued. Your chances of getting out of a traffic ticket in Pensacola are very slim. Having your driver's license suspended isn't any fun. You'll have to find a ride to wherever you need to go and it could actually cost you the job you currently have. Speeding - 3 points (less than 15 mph over the limit), 4 points (15 mph or more over the limit) and 6 points (causing an accident). Can you imagine dealing with a suspended license for an entire year? You don't have to allow points onto your driver's license, which will result in higher insurance rates. Instead, you can use the basic driver improvement course offered by online traffic school in Pensacola to avoid points. Simply plead guilty or no contest to your ticket and pay the fine. 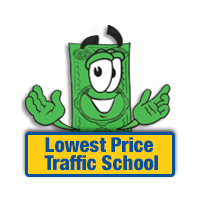 Then, enroll in the online basic driver improvement course through traffic school. Complete the course and receive your certificate of completion. Turn the certificate into the clerk of the court and you're all done. The cost and the time involved are very small compared to paying higher insurance rates for years and allowing points to accumulate on your driver's license. 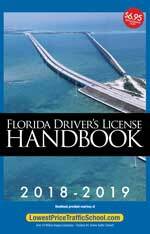 The State of Florida allows drivers to take the basic driver improvement course and keep points off their license up to five times in a lifetime. However, you're only allowed to take the course once every 12 months. If you haven't taken it in at least 12 months and you haven't used it 5 times already, you're eligible for traffic school. All traffic tickets issues in Pensacola, Florida are handled by the Escambia County Clerk of the Court. The clerk of the court will take payments and provide any information you need. Find out more at their website.